Poly(vinyl chloride), with ultralow molecular weight, produced by free radical polymerization either at high temperature or in the presence of chain transfer agents, is widely used as special resins and polymer process additives. This paper reports a new process, called self-stabilized precipitation polymerization, in which the polymerization of vinyl chloride monomer (VCM) is conducted in hydrocarbon diluents without addition of any suspending agent or emulsifier. The merits of this novel strategy include: (1) PVC resins with ultra-low number-average molecular weight (Mn) from 4000 to 15000, which is much lower than Mn of those prepared by conventional suspension and emulsion polymerizations, (2) sub-micrometer PVC particles with near spherical morphology, and (3) the very simple post-polymerization separation process. Under mild stirring, polymerization proceeds stably and smoothly. 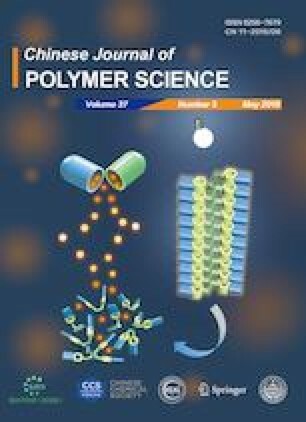 The influences of main process factors, such as solvents, initiator and monomer concentrations, polymerization time, and temperature on both particle morphology and Mn of the polymer products are investigated systematically. The molar ratio of -CH2-CHCl-/-CH=CH-CH2CHCl, a good indicator of structural defects, is about 1000/0.1 which means the low molecular weights do not result from chain transfer to the monomers. Then the mechanism of this polymerization is proposed. In summary, this novel polymerization technology provides a straightforward method for preparing PVC particulate products with low Mn. This work was financially supported by the National Natural Science Foundation of China (No. 51521062).